Hurricane Irma is weakening, yet still moving across a nine hundred mile swath on the east coast. Millions of people lost power and the Texas clean-up from Hurricane Harvey is just beginning. A number of people unsubscribed when I dared to link God with natural calamities. Why does this idea offend modern people? Here are some random thoughts on hurricanes, judgment, climate change, and need for repentance in our world. 1. Hurricane Irma was billed as possibly the biggest hurricane in US history. It could have been, but it lost power when it collided with Cuba then came up Florida’s west coast instead of making a direct hit on Miami. It was still a doozy–and it will take many months and billions of dollars for people to re-build and get back to normal. Irma comes in as the seventh most powerful hurricane we’ve experienced in the United States. Dr. Philip Klotzbach has compiled rankings of both hurricane Irma and Harvey when they made landfall. Compared to the 1935 Labor Day storm, Irma is a distant 7th in strength, tied with the 1928 Lake Okeechobee storm. Here is the listing of all hurricanes with landfall pressures of less than or equal to 940 mb (air pressure in millibars). Irma was 929 mb and Harvey was 938 mb. I find this chart fascinating. Looking at the dates, you could almost make the case that hurricanes are like turnovers in football–they come in bunches. Notice the big ones in the 1800s, around the turn of the 20th century, the 1950’s and 60s, and even the twelve year gap from Rita to today. The data seems to confirm that weather patterns are cyclical. 2. Two hurricanes stand out for personal reasons. My great-grandmother Boehme left Texas with her young children following the 1900 Galveston storm and moved to Ohio. Her husband, my great-grandfather, had been killed in a fishing incident due to a storm a couple years earlier. Much of the Boehme legacy can be traced to the impact of the 1900 hurricane. A friend of mine from Florida remembers Hurricane Donna in 1960. Her father hurried to the hospital during that storm, during which her mother died. In both cases, God used the natural disaster for good in our families. 3. I am not a believer in man-made climate change as a significant factor in these weather patterns. There have always been natural disasters on earth since the fall of man brought a physical curse to the world. Nature was “subjected to futility” (Romans 8:18-21) due to our sins. We have to work hard to “harvest” the earth, and nature is “in labor” until one day a new heaven and earth appear. 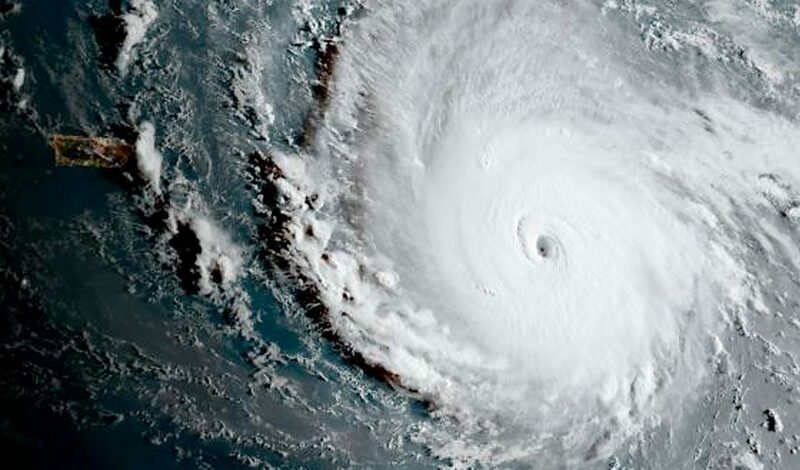 The jury was out on climate change before they altered the name from “global warming.” In fact, if recent man-made climate change is the main culprit in the power and frequency of storms, then why did we not have one major hurricane for the past twelve years? 4. Don’t believe the spin that there is a “consensus in science” about man-made climate change. First of all, the scientific method can never be held up to a consensus because science is based on provable facts–not what someone or most believe. Numerous times in history the majority of scientists were wrong (e.g. flat earth) until factual data proved otherwise. Rather, climate-change-as-a-proven-fact appears to be a liberal/progressive theory designed to re-distribute wealth worldwide and invoke a cry for one world governance. Plus, it’s a huge money-maker for the proponents. Follow the money. 5. We all feel for the people of Florida and Texas as they recover from the hurricanes. Some lost loved ones. Others saw their homes or businesses destroyed by the winds and sea. But, as the chart above shows, some areas of our nation are prone to this type of bad weather, just as others are to earthquakes, wildfires, cyclones etc. Some say the Florida Everglades were never made for people. Maybe that’s why they were sparsely populated for thousands of years. But the world holds over 7 billion people today, and many people moved to the “Sunshine State” for obvious reasons. Praise God we at least have advanced weather forecasting today to give us some warnings and help us protect life and property. But the risk will always be there. 7. One reason we don’t associate natural disasters with God’s judgments is that we don’t read the prophetic books anymore. And if we do, we don’t like them. We live in a time where God has been reduced to being a Sugar Daddy or Santa Claus. We’ve lost all concept of “tough love” and “discipline” as necessary for spiritual growth–which the Bible proclaims on nearly every page. One of my favorite prophetic passages: “When the earth experiences the Lord’s judgments, the people learn righteousness” (Isaiah 26:9). 8. Our rejection of the Bible’s authority is at the heart of the problem. Scripture used to be the moral and spiritual compass for the Western World. But with the rise of atheism/secularism, biblical ideas of holiness, judgment, repentance and the like are viewed as antiquated, narrow and mean–instead of life-giving and necessary. Eugene Peterson, author of The Message, makes this observation on our rejection of the Bible prophets: “The hard-rock reality is that the prophets don’t fit our way of life. For a people who are accustomed to ‘fitting God” into their lives, the prophets are hard to take and easy to dismiss. The God of whom the prophets speak is too large to fit into our lives. If we want anything to do with God, we have to fit into Him. '” Exactly. get out your Bible compass, dust it off, and give God his rightful place. 9. Prayer does have an impact–on storms and natural disasters. This is a subjective call, but maybe Irma lost some of its punch because of the prayers of Floridians and others. One day many were partying and neglectful of their Maker. The next, they cried out to him. In other words, the trials and tribulations were necessary to get their attention–and God acted in a degree of mercy. This is a truth found everywhere in God’s Word. Judgment can be mitigated by prayer. I’d love to know how many more prayers have been uttered the past two weeks because of God allowing natural judgments. Our standard of living and “things” are not our greatest need. We NEED to be awakened out of our estrangement from God. 10. I’m currently reading the Book of Revelation in my devotions. It’s central theme is that God will bring (not just allow) amazing natural disasters to planet earth in the Last Days to show his holiness and justice toward sin and rebellion. The purpose is repentance–changed lives–salvation. But many will refuse the message (Revelation 9:21). Consider 2017 a wake up call. Maybe it’s more than that. Allow a Holy God to bring you back to His Word, his real love, understanding the ugliness of sin, true justice, and the call to humility and faith in Jesus Christ. How did the people fare in your old part of the woods in Florida? The more I read, I see many answers to prayer in this natural disaster. May God turn our eyes toward His justice and grace.